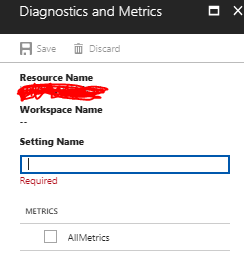 Has anyone else noticed that you are now required to provide a ‘Setting Name’ when adding a resource to a Log Analytics workspace? Does anyone know what this value is used for? C#: What you should be logging?